Pine Bluff, Arkansas, (population 52,000) was settled in 1819 on a bluff overlooking the Arkansas River. The town was incorporated in 1839. With the arrival of the railroad in 1873, Pine Bluff became a cargo transport point between rail and river. The economy developed around timber and cotton, and Pine Bluff became the commercial and economic center of the Arkansas Delta. The cotton-based economy crashed after World War I. In the 1930s-40s, 10 800-series steam locomotives were constructed in the Cotton Belt Shops in Pine Bluff. The World War II-era Pine Bluff arsenal further industrialized the economy with the production of chemical warfare agents and the construction of Grider Field as a flight training facility. In the 1950s, a paper mill industry was established. The Arkansas Railroad Museum is located in Pine Bluff, in the Union Pacific Railroad Company’s 1890s Old Cotton Belt Shops. The museum is operated by the Cotton Belt Rail Historical Society. The city of Pine Bluff supports the museum through annual lease payments on the structure. The museum houses the Cotton Belt steam locomotive “819,” the last steam-powered locomotive constructed in Arkansas. 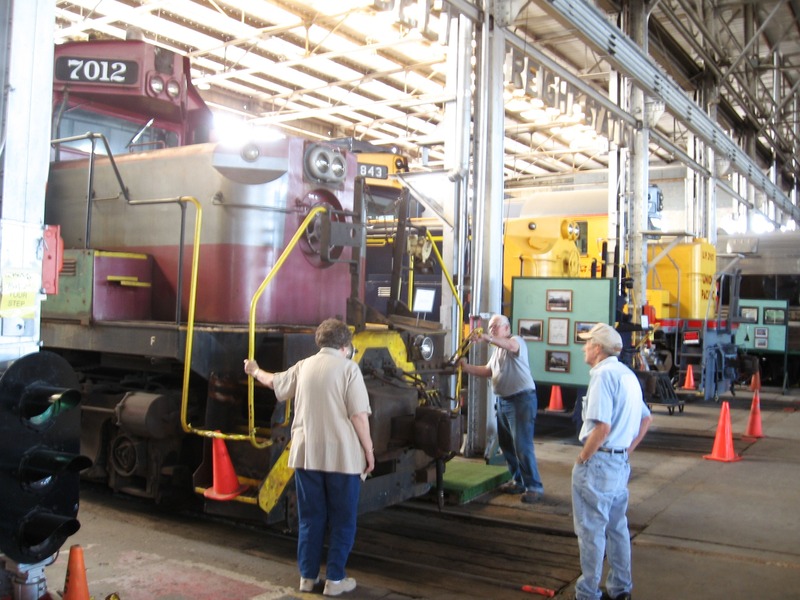 The locomotive is in the process of a restoration, which is on view for visitors to experience. A variety of rolling stock, a full-scale inside-the-building railroad depot, and railroad memorabilia are on display. The Arkansas Railroad Museum holds its “Railroadiana” event annually in April. The museum rolls its historic stock onto the tracks outside the shop for display. This allows the shop facility to make room for exhibitors who fill the structure with railroad memorabilia displays and model train exhibits. Saracen Trail is a historical trail that covers approximately 11 miles of city streets and grassy levees. The trail highlights Pine Bluff’s history along its way by touring historic structures and the murals that depict Pine Bluff history. Questions ask students to examine architecture, describe murals, and document facts of Arkansas history. The Saracen Trail Patch of the Boy Scouts Program in Arkansas is given to scouts who successfully complete a detailed questionnaire. Volunteer staff operate the Pine Bluff/Jefferson County Museum in the historic Union Station Depot. The structure is listed on the National Register of Historic Places and has been restored. 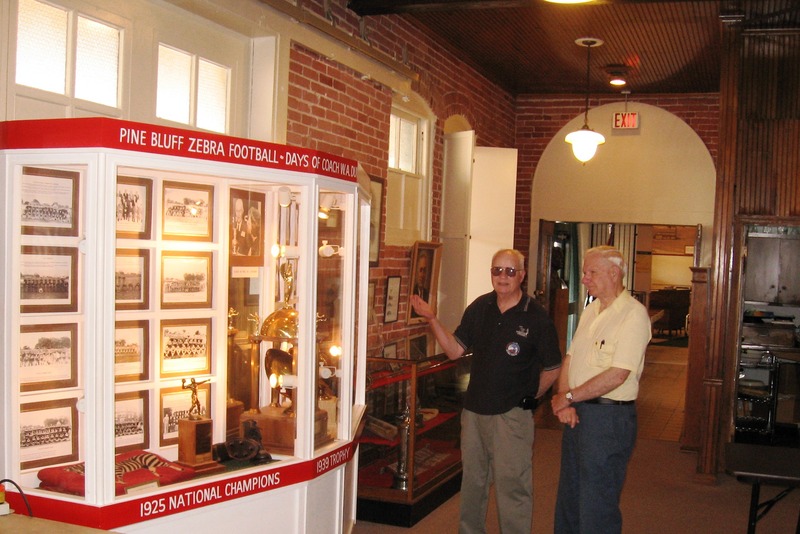 The museum provides a central clearinghouse for historic information, photographs, and other memorabilia related to the history of Pine Bluff and Jefferson County.